Castleton alumna Rosie Williams took her Castleton degree from the Jeffords Science Center labs to Oklahoma City where she now works as a Geologist for Continental Resources. With a passion for the outdoors and love for the rustic mountains of Vermont, Castleton’s rural setting served as the perfect place for the 2011 Geology major to complete her undergraduate degree. “I went to Castleton because I grew up in Vermont and I really wanted to stay close to my family,” she said, adding that the university prepared her for continued success long after graduation. "Castleton is unique in that it offers students great opportunities to do research outside the classroom, attend conferences, take field based classes, and really flourish in your particular field." With the encouragement of her professors, Williams chose to continue to further her education after receiving her diploma. 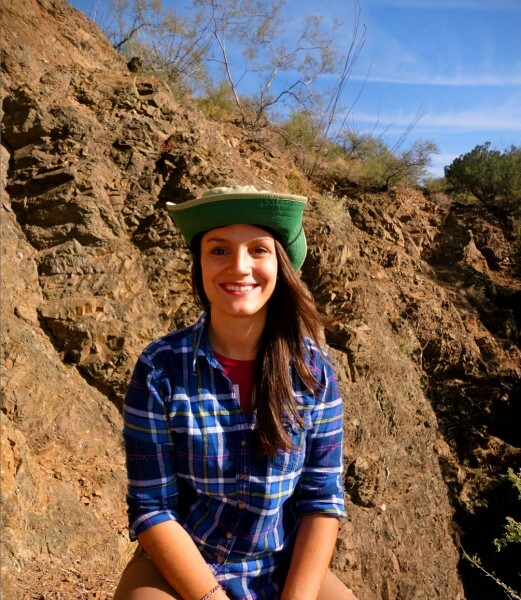 She enrolled at the New Mexico State University, earning herself a master’s degree with an emphasis on structural geology. "The professors were my greatest influence as far as furthering my education beyond Castleton," Williams said. "Helen Mango and Tim Grover did a lot for all of us in the Geology department. It was clear they really cared and I think that contributed greatly to many of our successes." Proud her of Castleton alumni status, Williams’s fondest memories include experiences that allowed her to fully immerse herself in her Geology major. A personal favorite of Williams included a field-mapping trip in the Eastern Adirondacks during the summer of 2010.